When moving to a new town, you may have a lot on your mind: a different job, different schools, a different church, different daily routines, and of course, finding a new place for your family to call "home". 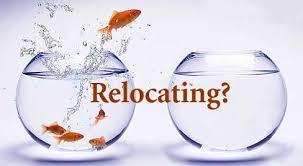 At New Millennium Realty, we understand this, and we are experts in relocation. We have a long history of finding buyers the right home by going through a very specific checklist to help you efficiently narrow your options. Before coming into town, write your needs into one list. Then write the things you simply want in another. When a home doesn't even meet your needs, there's no need to even spend time looking at it. Have a set price range. This could be based on mortgage or a conservative estimate of how much you'll get from selling your present home. How long of a commute are you willing to make each day to work and other activities? Traffic in the Reynoldsburg area could be different than your current location, so let me know your desired drive-time, and I'll locate homes accordingly. Before we meet in person, We could send you my picks for possible homes. Or if you've got a list of properties in mind, let me know what you've found. While virtual tours and photos are invaluable, there's nothing like walking through homes in person. We can arrange any necessary appointments and map a route. By planning ahead, we could see 8 or 10 homes in a single day. Our goal is to do everything I can so that by the end of your visit, you can be comfortable in the knowledge you've found the best home for your family. Call me today at 740-253-1942 or CLICK HERE for one of our team members to contact you. Get pre approved for home loan today!